Make a statement with your morning cup of joe! Drink up Frank Castle, aka the Punisher! This Punisher 20 oz. 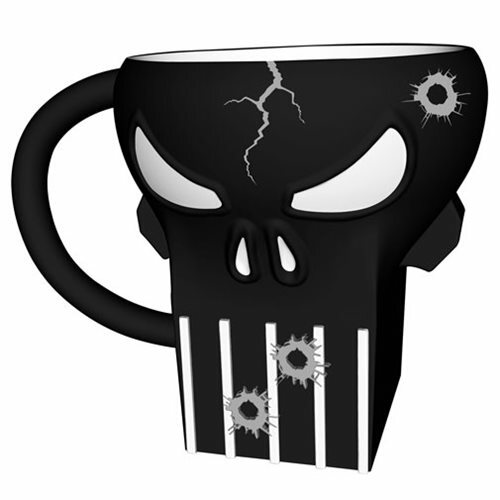 Sculpted Ceramic Mug is sculpted like the anti-hero's logo complete with a few stylish bullet holes and comes packaged in a full color gift box. Measures approximately 6 inches x 5 inches x 4 inches.